Find A Grave Memorial# 66129250. 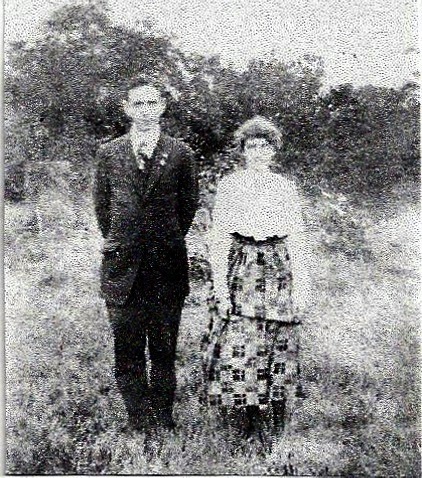 "Massachusetts, Births, 1841-1915," index and images, FamilySearch (https://familysearch.org/pal:/MM9.1.1/FXNG-9CN : accessed 26 Nov 2012), Dorothy Hodge, 1902. "United States Census, 1940," database with images, FamilySearch (https://familysearch.org/ark:/61903/1:1:K4FC-NKQ : accessed 25 August 2016), Albert Ravell, Belmont, Belmont Town, Middlesex, Massachusetts, United States; citing enumeration district (ED) 9-66, sheet 10B, family 256, Sixteenth Census of the United States, 1940, NARA digital publication T627. Records of the Bureau of the Census, 1790 - 2007, RG 29. Washington, D.C.: National Archives and Records Administration, 2012, roll 1603. 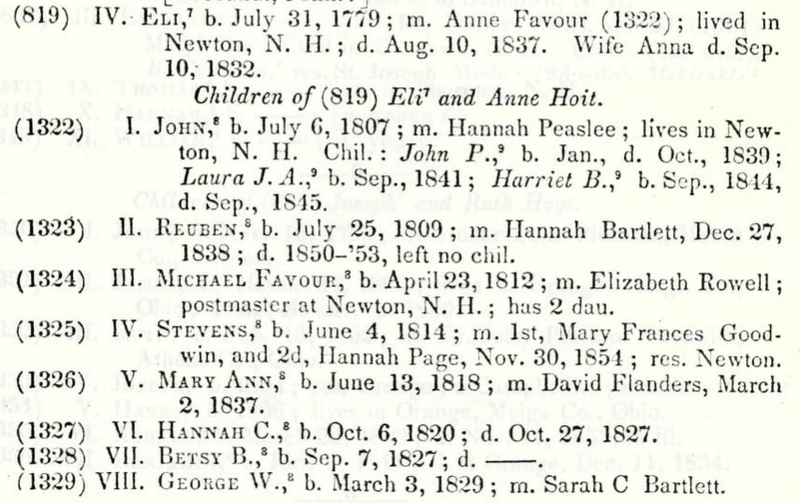 "Massachusetts, Births, 1841-1915," index and images, FamilySearch (https://familysearch.org/pal:/MM9.1.1/FXXP-XP2 : accessed 26 Nov 2012), Dwight N. Hodge, 1898. 1880 United States. Census Office. 10th census, 1880 federal population census, Washington, District of Columbia: National Archives and Records Service, ([19--]) , FHL Film 1254763; National Archives Film T9-0763; Page 5B. 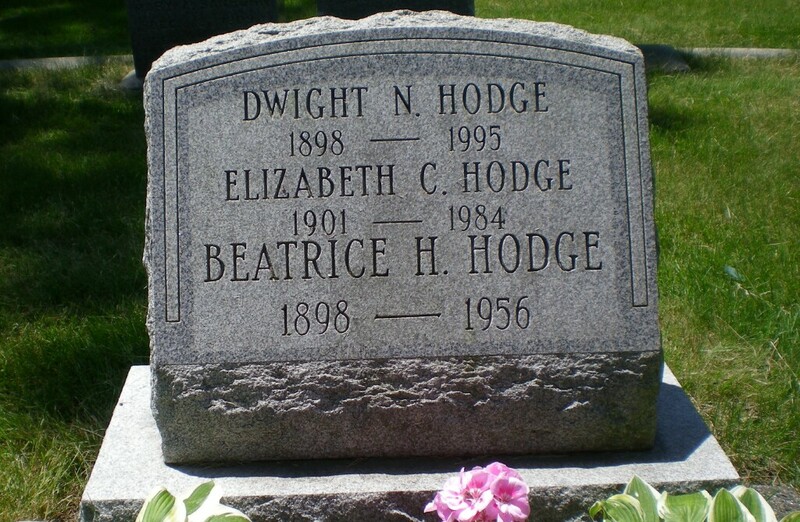 "Massachusetts, Births, 1841-1915," index and images, FamilySearch (https://familysearch.org/pal:/MM9.1.1/FXJF-GRS : accessed 26 Nov 2012), Priscilla Hodge, 1909. "Massachusetts, Births, 1841-1915," index and images, FamilySearch (https://familysearch.org/pal:/MM9.1.1/FXXC-NKQ : accessed 26 Nov 2012), Percy M. Hodge, 1896.
living at 6 Stark Street, Manchester, Hillsborough County, New Hampshire. Find A Grave Memorial# 65643149. 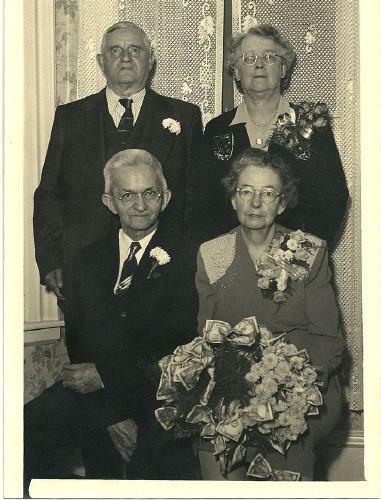 "New Hampshire Marriage Records, 1637-1947," database with images, FamilySearch (https://familysearch.org/ark:/61903/1:1:FL66-YZ6 : accessed 7 April 2016), Hiram O. Dodge and Eliza Jane Colby, 1851; citing Manchester, Hillsborough, New Hampshire, Bureau of Vital Records and Health Statistics, Concord; FHL microfilm 1,000,982. "New Hampshire, Marriage Records, 1637-1947," index and images, FamilySearch (https://familysearch.org/pal:/MM9.1.1/FLFS-LDN : accessed 12 Dec 2012), Edgar E. Stanyan and Ida E. Hodge and null, 1883. Find A Grave Memorial# 66129208.
living at Locust Street, Danvers, Massachusetts. 1910 United States. Bureau of the Census. 13th census, 1910 population census schedules, Washington, District of Columbia: Bureau of Census Micro-Film Lab, ([19--?]) , Census Place: Wenham, Essex, Massachusetts; Roll: T624_588; Page: 8B; Enumeration District: 486; Image: 808. 1920 United States. Bureau of the Census. 14th census, 1920 population census schedules, Washington, District of Columbia: The National Archives, ([193-?]) , Census Place: Pelham, Hillsborough, New Hampshire; Roll: T625_1009; Page: 6A; Enumeration District: 156; Image: 1072. 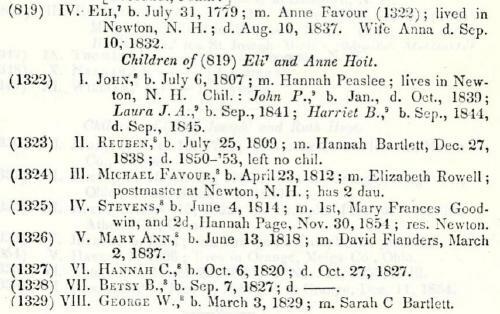 "New Hampshire, Death Records, 1654-1947," index and images, FamilySearch (https://familysearch.org/pal:/MM9.1.1/FSJD-GHL : accessed 12 Dec 2012), Ida Estelle Stanyan, 07 Mar 1926. Find A Grave Memorial# 65643780. Find A Grave Memorial# 95033218. Church of Jesus Christ of Latter-day Saints. Logan Temple, IGI reference to Sealings of children to parents, 1884-1943; heir indexes, 1884-1943, Salt Lake City: Filmed by the Genealogical Society of Utah, (1958) , Film Number: 178104, Page Number: 812, Reference Number: 28142.